All about things out of the ordinary...Paranormal Activities, Nature, Art, Entertainment, Lifestyle, and Conspiracy Theories. I’m sure everyone reading this has an idea of what hypnosis is. You have watched movies where people have been hypnotized and made to do what they wouldn't normally do. I even remember watching an episode of SuperTed back when I was like nine years old, and seeing Spotty-man hypnotized by a man, who dangled a clock in front of spotty till he lost consciousness. 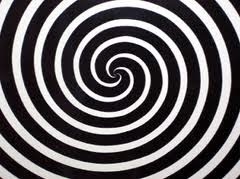 Over the years, Hollywood has taken hypnosis to another level, and made it seem spooky and all. But the fact is that Hypnosis is so natural that you and I routinely enter and exit hypnotic trances several times a day without knowing it; Such times as while watching a movie, reading, listening to someone of authority (like a Pastor, Imam, or a Doctor), or while driving. Basically, when you let your guard down, and let information/suggestion flow directly to your subconscious mind, you are in a hypnotic trance. I combed the Internet for a very subtle definition of the word, but most of what I came up with were very complex. 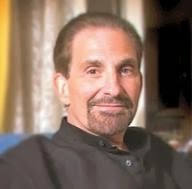 If I was to define it, I would say Hypnosis is when your conscious mind is put to sleep, and suggestions are given to your subconscious mind, which it immediately believes and acts accordingly, whether or not the suggestions are true. I don’t know if that was a simple enough definition. To buttress my explanation, I think I should quickly speak a little on the human mind. The human mind (mind can be used interchangeably with brain here) has two parts; there is the conscious mind, and you have the subconscious mind. The conscious mind deals with logical reasoning and is the gate-keeper to what gets to the subconscious, while the subconscious mind, which is beneath the surface, deals with automatic actions like driving or brushing of teeth; Actions you have done over and over, till they have become automatic, or have become your character. 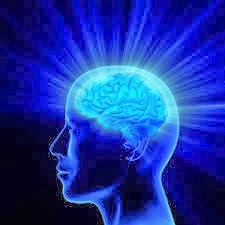 The subconscious mind also houses your beliefs (thoughts you have thought over and over). The subconscious mind doesn't deal with reasoning, but believes and acts accordingly on anything that is successfully passed to it from the conscious mind or the outer world; it is the bedrock of who you really are, because it houses your beliefs. Since all human beings act based on beliefs, and anything that gets to the subconscious mind (where your beliefs resides) is automatically taken as truth, then Hypnosis can truly be a powerful tool in carving the kind of life you really want. Or can be a detriment to your progress. Since the conscious mind is the gate-keeper for the subconscious mind, it wont let any idea or suggestion go through to the subconscious, unless it checks with what you already believe to be true. That is why Hypnotists always put the Conscious mind to sleep before they proceed to passing a suggestion to your subconscious mind. I think I should step back and let DR. Robert Anthony take center-stage from here on. Below is an excerpt from the chapter titled Dehypnotizing Yourself, from his bestselling book- The Ultimate Secrets of Total Self-Confidence. A lot of the limits in your life right now might have been self-imposed, or imposed upon you by a figure-head you respect like your Mom, Dad, a witch-doctor in your village, a respected person in your family, or a religious leader. They might have meant no harm when passing it to you, but it might be a belief which is, right now limiting you in some areas of your life. The suggestions might even have come from watching too much African Magic. As I said, your conscious mind is down when you are watching TV, and it allows every message/suggestion from the movie you are watching to stream right to your subconscious mind. And since your subconscious mind takes everything that gets to it as truth, you start to take everything portrayed in the movies as truth (like witches being behind your lack of progress, or that you can only be a success if you join a cult). Watch what you’re watching...don’t let it control your life. Watch the people you constantly are around and listen to, for they have the power to hypnotize you. All these explains why what you believe (in your subconscious mind) is what you get in your life, and not necessarily what you want. And other people that don’t share your beliefs will get a life that resonates around their own beliefs also. In closing, this article should let you know that not all you take as truth today might be true...you might have been hypnotized without knowing it. So when next you meet someone that doesn't share your beliefs, think twice before you label the person ignorant...you might be the ignorant one. Do We Really Attract What We Think About? Is Being Gay a Choice? Is There a Possibility of One World Religion?